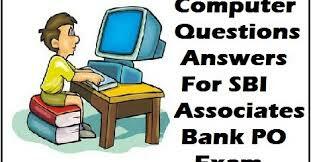 Computer General knowledge Quiz And Computer GK In Hindi Date wise 01-09- 2017 Model Question Answer Test Computer Question Answer in Hindi Computer GK And Question & Answer with solution & Formulas in Hindi & English useful for preparation of LDC, SSC CGL, IBPS, MBA, CAT, MAT, SBI-PO, RBI And Railway, Indian Army , Rajasthan,Delhi Police Related Study material And All competitive Exams. Question. (1) What software is used to create resumes? रिज्यूमे बनाने के लिए किस सॉफ्टवेयर का उपयोग किया जाता है? Question. (2) What is a MS-Word example? Question. (3) What is the human-readable version of a program called? किसी प्रोग्राम के मानव द्वारा पठनीय वर्शन को क्या कहा जाता है? Question. (4) Converts and accepts one stage at a time? एक बार में एक स्स्टमेंट को कन्वर्ट और एक्जीक्यूट करता है ? Question. (5) What is the restart of a computer that is already running? पहले से चल रहे कंप्यूटर को रीस्टार्ट करना क्या कहलाता है? Question. (6) What is the full name of POST? POST का पूरा नाम क्या है? Question. (7) What kind of software is Linux? लाइनेक्स किस किस्म का सॉफ्टवेयर है? Question. (8) When two processors are installed in a computer, what do they say? जब एक कंप्यूटर में दो प्रोसेसर लगाए जाते हैं, तो उसे क्या कहते हैं? Question. (9) What do users often use to access the mainframe or supercomputer? मेनफ्रेम या सुपरकंप्यूटर में एक्सेस के लिए यूजर्स अक्सर क्या उपयोग करते हैं? Question. (10) which topology are network components connected to the same cable? किस टोपोलोजी में नेटवर्क कंमपोनेंट एक ही केबल से कनेक्ट किए जाते हैं?